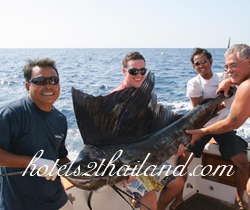 Phuket Fishing Tour , Phuket is fast emerging as a top game-fishing destination in Southeast Asia. 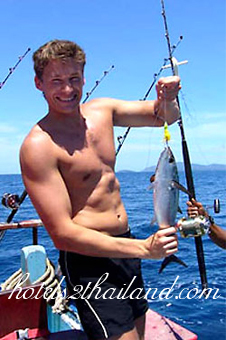 Indeed, the list of fighting fish species available in the Andaman Sea around Phuket is so long as one to be found in a game fisherman's handbook. They include Marines, Sailfish, Tuna, Giant Trivially, King Mackerel, Wahoo, Cobia, Barracuda, Rainbow Runner,Dolphin Fish, Queen Fish and African Pompano These 12 were the eligible species listed for the tournament.